Facilitates ultra-high computing density for enterprise services with easy management and energy savings. 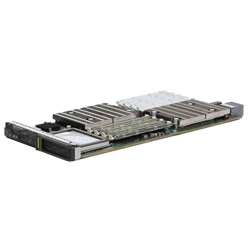 Optimized for HPC and dense computing enterprise services, the CH140 V3 provides ultra-high computing capabilities. A half-width slot supports two 2-socket compute nodes; each node can be maintained independently. 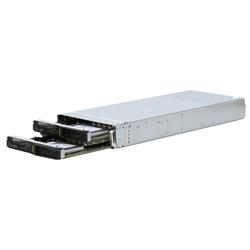 The CH140 V3 uses Intel® Xeon® E5-2600 v3 series processors, supports eight DIMM slots and one hard disk, as well as 2 built-in Micro-SD slots supporting RAID 1. 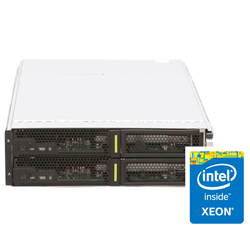 Supports the full series of Intel®Xeon® E5-2600 v3 processors to deliver up to 2 x eighteen-core 2.3 GHz of computing capacity; a half-width slot supports two small slots in two layers for installing two independent 2-socket compute nodes. Reduces O&M costs by enabling remote deployment and fault location technologies such as SOL, KVM over IP, virtual DVD-ROM drive, WebUI and IPMI 2.0-compliant. Provides efficient, secure power consumption analysis and control capabilities. Complies with Intel® NM 3.0. Supports an intelligent and secure power-off mode for compute nodes.